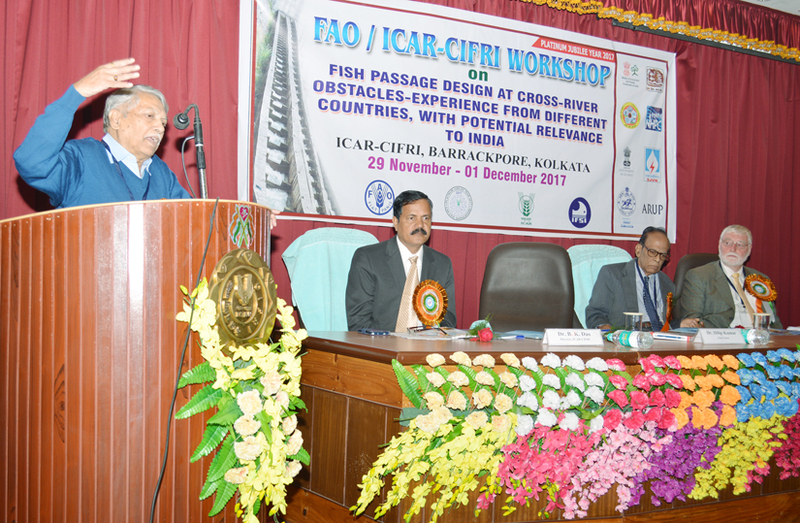 The FAO/ICAR-CIFRI workshop on “Fish passage design at cross-river obstacles – experience from different countries, with potential relevance to India”, is being organised at ICAR-CIFRI, Kolkata, India from 29 th November 2017 – 1 st December 2017. 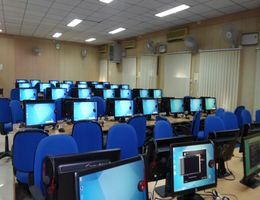 This workshop encompasses diverse aspects related to fish passes, viz., the current scenario of fish pass facilities around the globe, status of fish pass in India, behaviour of migratory fish species, fish pass design and efficacy of fish pass. Moreover, this workshop brings together a multidisciplinary panel of experts working at different international organizations such as the Food and Agriculture Organization of the United Nations (FAO, Rome), Hydraulic Engineering and Environment (Germany) and the University of Natural Resources and Life Sciences (Austria). The participants of the workshop represents several PSUs including NHPC, SJVNL, ARUP, officials from State Water Resource Department, Gujarat, Central Water Commision, Ministry of Water Resources (MoWR) and Ministry of Environment, Forest and Climate Change (MoEFCC). The workshop on “Fish passage design at cross-river obstacles– experience from different countries, with potential reference to India” inaugurated today at Central Inland Fisheries Research Institute, Barrackpore, Kolkata with lightening of auspicious lamp by Dr. Dilip Kumar, Chief Guest, and other Guests of Honours. Dr. B. K. Das, Director ICAR-CIFRI in his address welcomed Chief Guest, Guest of Honour and other dignitaries. He emphasized that fish passes are of increasing importance for the restoration of free passage for fish and other aquatic species in rivers as such devices are often the only way to make it possible for aquatic fauna to pass obstacles that block their up-river journey. The fish passes thus become key elements for the ecological improvement of running waters. He stressed that political and institutional willingness will only make fish passes successful. He hoped that this workshop will provide a guideline on design of fish passes. Dr. Gerd Marmulla, Fishery Resource Officer, Food and Agricultural Organisation in his address said that India is one of the biodiversity rich country having more than 900 freshwater fish species. One of the most important among them is Hilsa. Long distance migration is lifeline of many fish species for their physiological requirement like spawning, breeding, seasonal habitat change and related activities. Dams built with many purposes like irrigation, hydro power generation etc. hampers free migration of migratory fish species. Stocking alone is not a viable option and it will not replace natural reproduction of fish in long term. This workshop will help in raising awareness on fish passage design during construction of new dams. 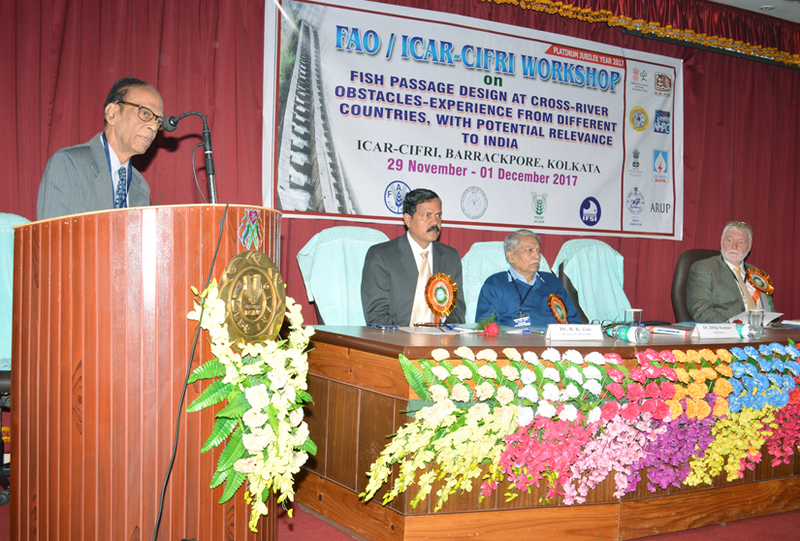 Dr. B. P. Das, Former Engineer-in- Chief of Government of Odisha, FAO expert Consultant and Guest of Honour in his address gave various example of fish passes in different parts of world. He said that during 1960-90s our emphasis was more on providing irrigation, power from multi- purpose dam projects. In 80s, after the decline of fisheries in Missouri and other rivers in US, the concept of fish passage and fish canals for lateral migration of fish initiated. Fish canal as fish passage enables fish migration in rivers. This workshop of three days will help immensely in augmenting knowledge on fish life of rivers. 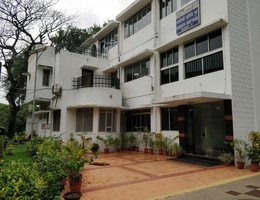 Dr. Dilip Kumar, Former Director and Vice-Chancellor of ICAR-Central Institute of Fisheries Education, Mumbai in his address said that I am very lucky to having work with both organisations CIFRI and FAO for many years. Fish pass design is one of the areas where FAO experience will immensely helpful in proper designing and construction of fish pass during the construction of new dams. Despite technical guidance one of the main problems behind failure in earlier occasions was the institutional. Collaboration and working in partnership between various departments of governments is highly required for successful working of fish passages. 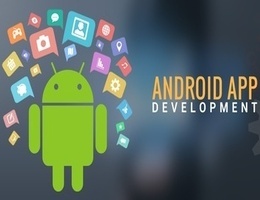 This workshop recommendation should address various policy barriers. Dr. A. K. Sahu, Organising Secretary of the workshop proposed the vote of thanks.